Desperately searching for the perfect partner to spice up all your cooking adventures? Need a souse chef that can outlast any other? 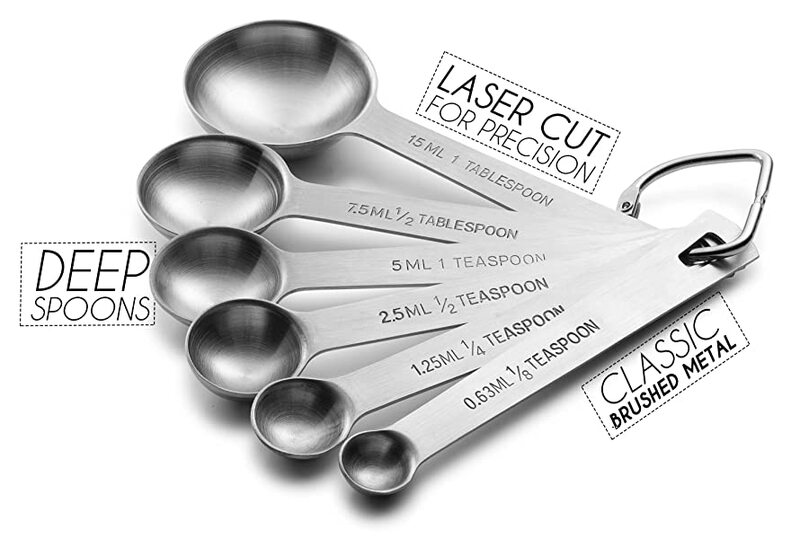 Introducing Laser Cut and Ultra-Precise Measuring Spoons By Bellemain. When you cook, pots are clanging, counters are dirtied, and the kitchen is abuzz. you’re in the zone. 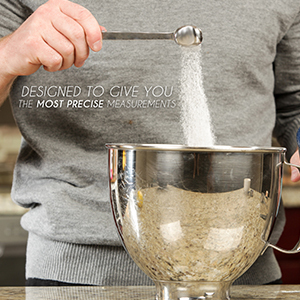 Keep the flow going with Bellemain: our ultra-precise, heavy-set measuring spoons are specially designed to scoop easier, better, no matter what you’re making. Laser cut from 100% 18/8 stainless steel, your new Bellemains will be a trusted companion for years. Keep these spoons within reach and create your next experimental meal or special someone’s favorite dinner with ease. 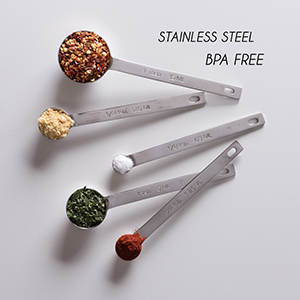 Enjoy the professionally brushed metal and smooth feel of our food-grade, BPA-free, keep-tough spoons. 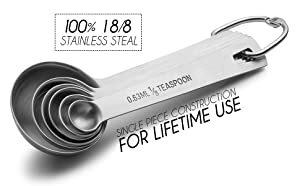 Laser cut from 100% 18/8 stainless steel, your new spoons will serve you longer than any other set you’ve ever owned. What Does “Designed for Perfection” Mean? 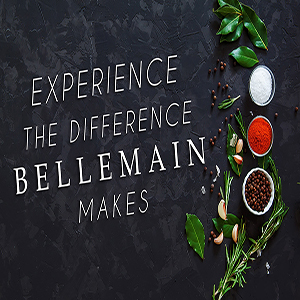 Bellemain is made to improve performance and comfort in the kitchen. Reach into the narrowest of containers with ease. Read engraved markings written in both metric and US measurements effortlessly, with no rub-off. 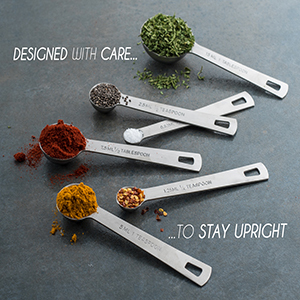 Enjoy our deep spoons that excel at scooping and measuring any ingredient your newest concoction demands.